Pulling up the hood of his parka and bracing for the cold, Capt. Shahn Rashid opens the door and heads outside. The wind, near 20 miles per hour, is chilling, and he tugs on the parka’s zipper, willing it to go higher. The irony of this action isn’t lost on the captain. He’s okay with it, though. It’s a small price to pay for the view. can see, the sky is illuminated with stars. 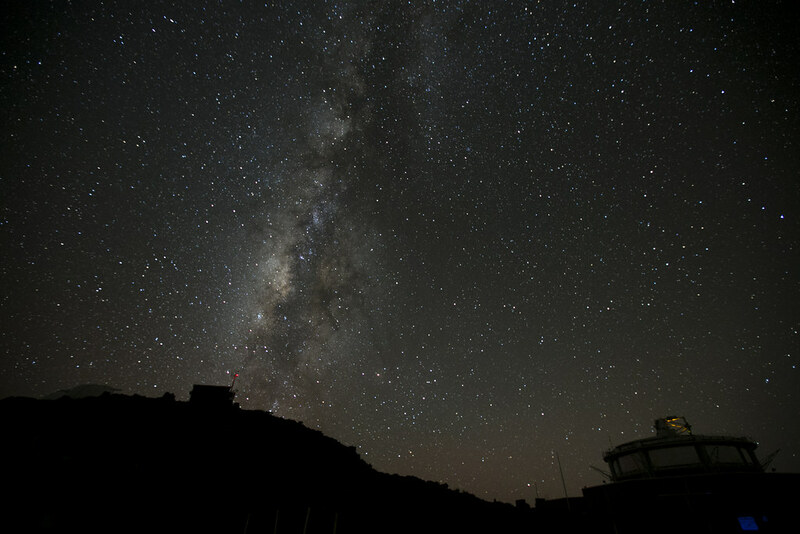 The Milky Way, which he’d only seen in photographs and movies, is directly overhead – so large and bright and real it’s as if he could simply reach out his hand and touch it. 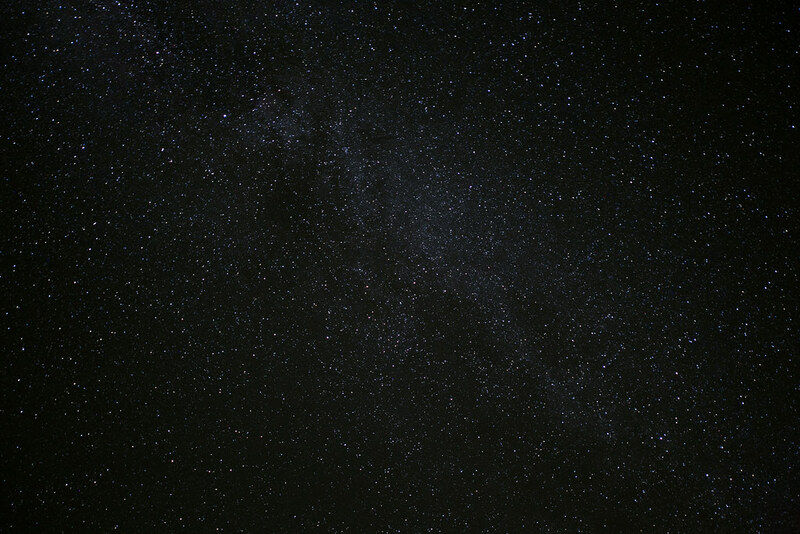 He stares up at the sky and is awed, and, even though he’s seen this same view for the past few months, he said he feels like he’s seeing it for the first time. 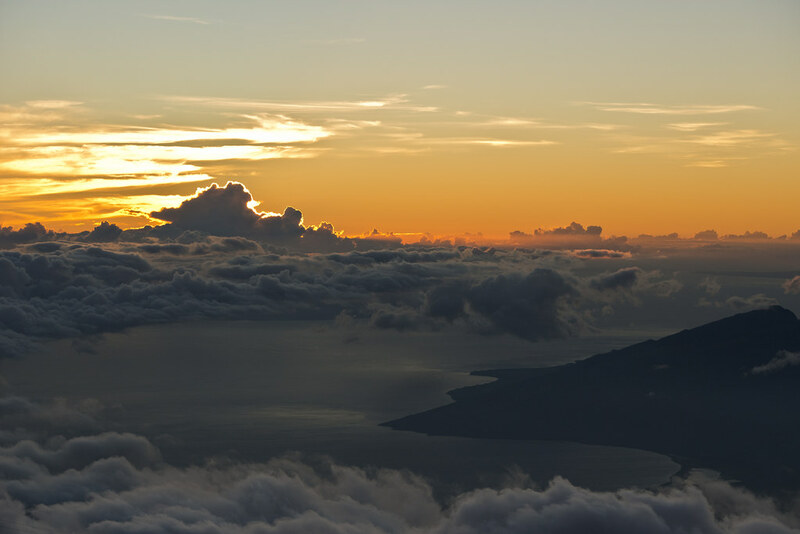 He forgets the cold and the biting wind and the fact that 10,000 feet below, hundreds of shorts- and sandal-clad tourists are drinking mai tais, taking moon-lit walks on white sand beaches and enjoying a pleasant, 75-degree evening on the island of Maui. Then, tearing his eyes away, Rashid heads back inside to look at a computer monitor and gather data to help the Air Force make sure some of the stars he was just looking at don’t crash into each other. 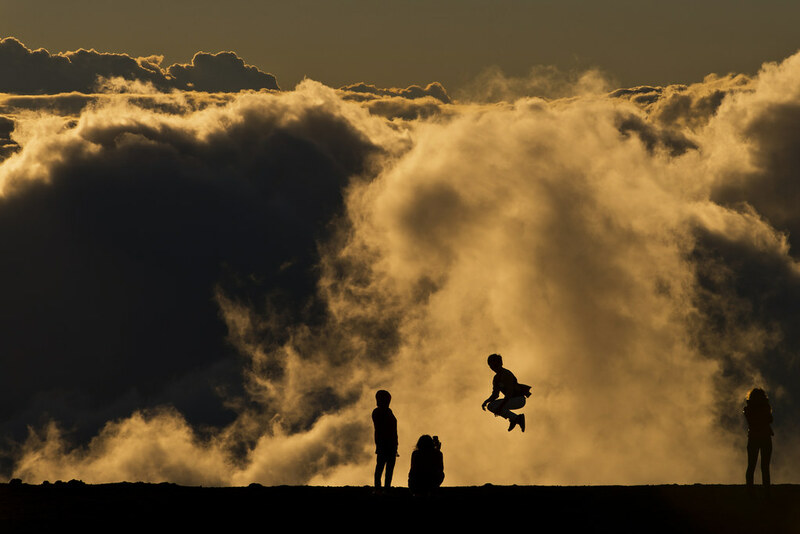 A sunset view of Maui Space Surveillance System on Mount Haleakala, above the clouds at 10,000 feet. 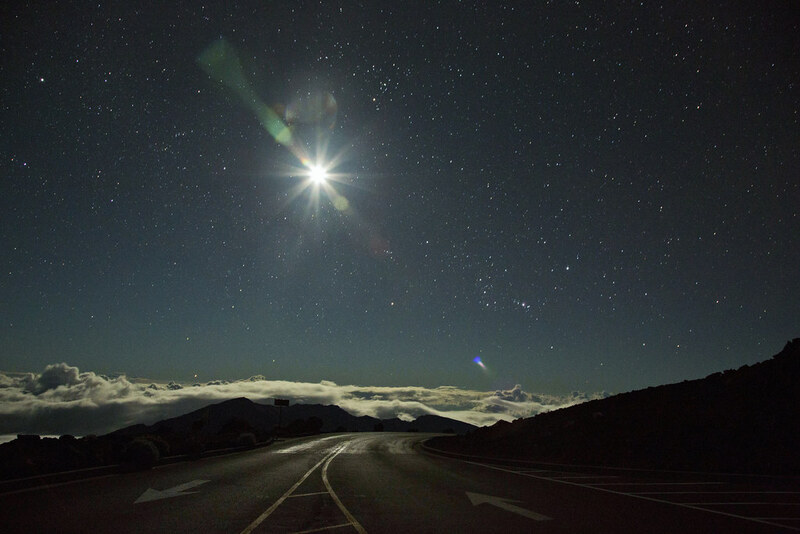 Clear visibility and location near the equator, makes Haleakala a very stable environmental for viewing space. In reality, these “stars” Rashid tracks aren’t really stars at all. They are man-made objects orbiting the Earth – machine-like satellites, as well as spent rocket bodies and bits of space debris. 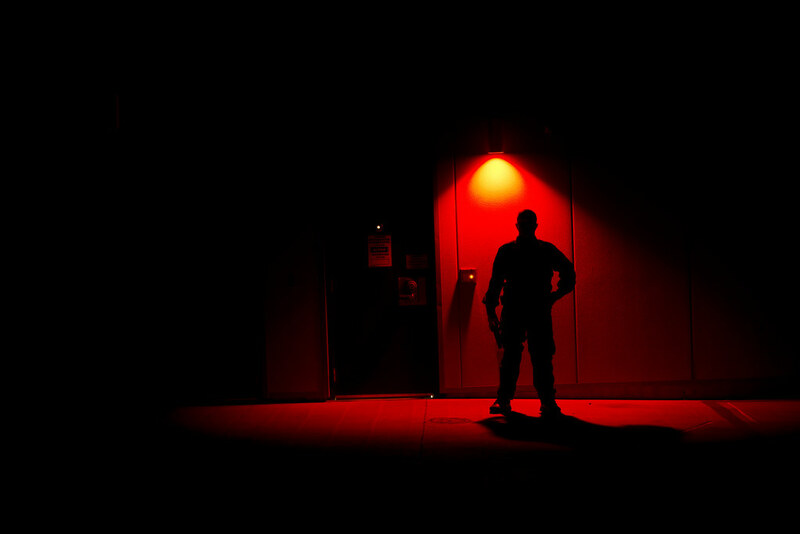 Rashid is commander of Detachment 3 of the 21st Operations Group, which belongs to the 21st Space Wing at Peterson Air Force Base, Colo.; though Detachment 3 is nowhere near Colorado. 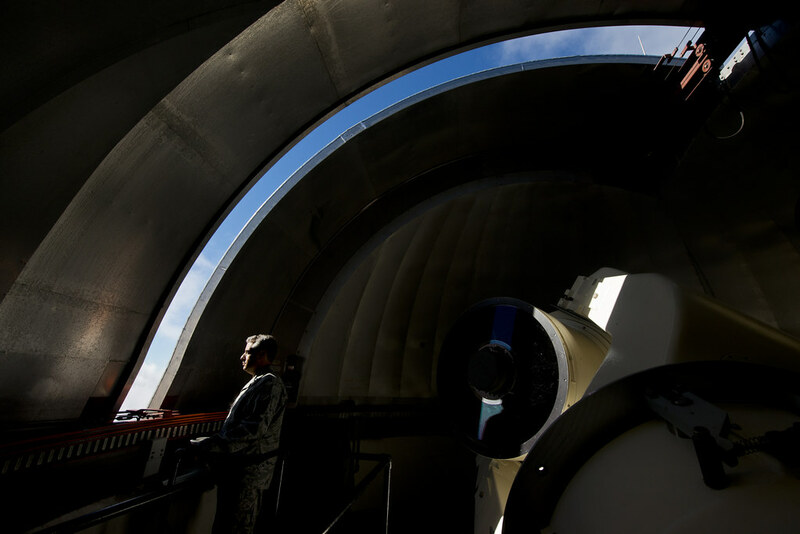 It’s a dedicated space surveillance unit located thousands of miles away atop the summit of Haleakala, a dormant volcano on the island of Maui. 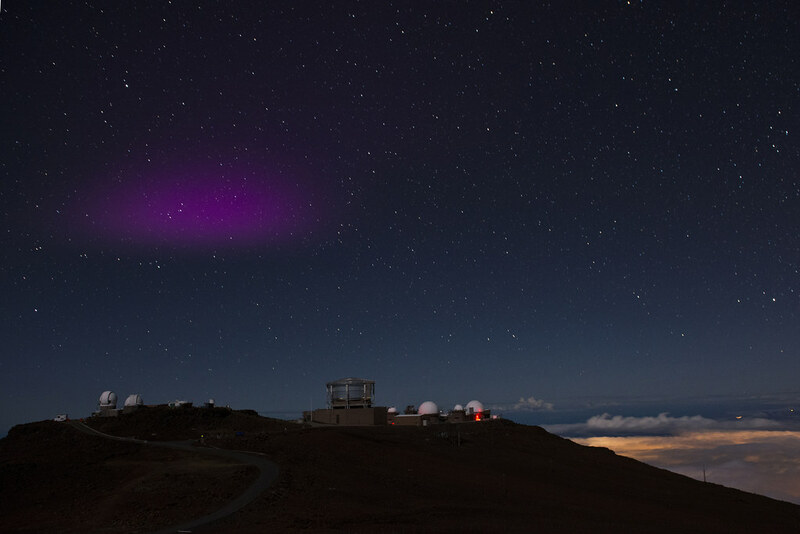 Rashid is responsible for Air Force Space Command’s Ground-based Electro-Optical Deep-Space Surveillance unit, which is located within the Maui Space Surveillance Complex. This task is becoming increasingly difficult. A decade ago, there were only a few thousand objects – things ranging from weather, navigation, missile defense and communications satellites; to “space junk,” such as spent launch vehicles and satellite collision debris – orbiting the Earth. The number being tracked has quadrupled since and is still on the rise. 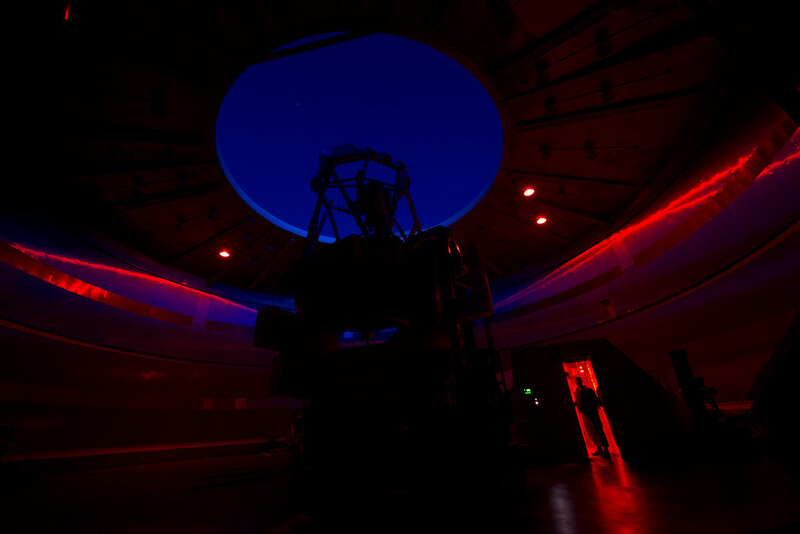 GEODSS tracks space objects through the use of reflected sunlight, and thus can only operate on clear nights. 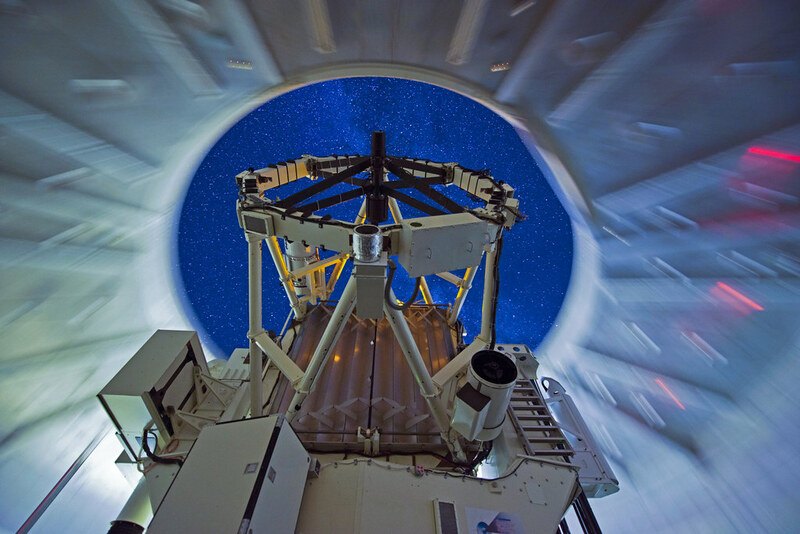 The 3.67-meter telescope, known as the Advanced Electro-Optical System is the largest optical telescope designed for tracking satellites in the United States. 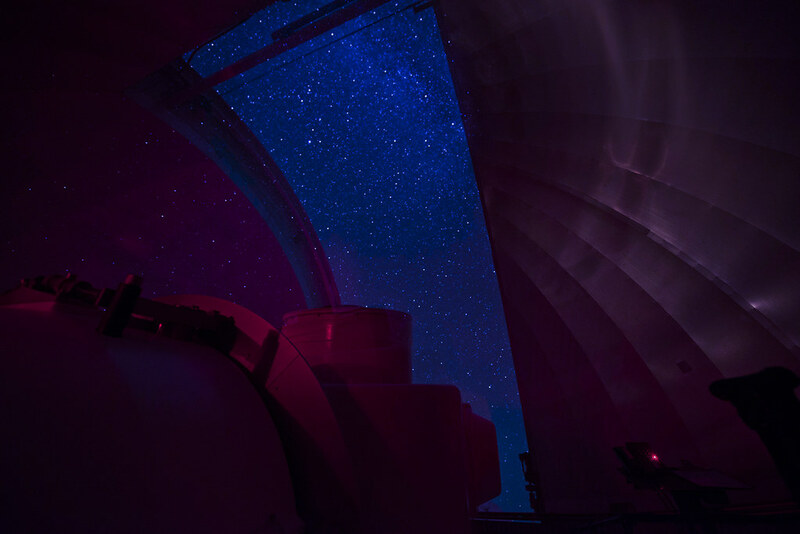 AEOS can be used simultaneously by many groups or institutions because its light can be channeled through a series of mirrors to seven independent rooms below the telescope. This isn’t the only reason the Air Force chose Maui. There are actually some unique advantages to placing the facility atop a dormant volcano in the middle of the Pacific Ocean. One is the weather. 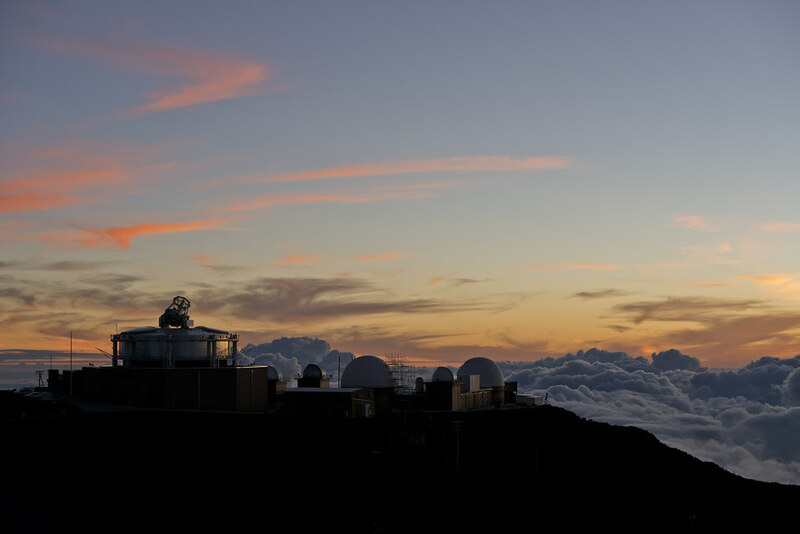 The clear skies and stable air above Hawaii’s volcanic peaks make for a prime location to view space – one of the best in the world, in fact. 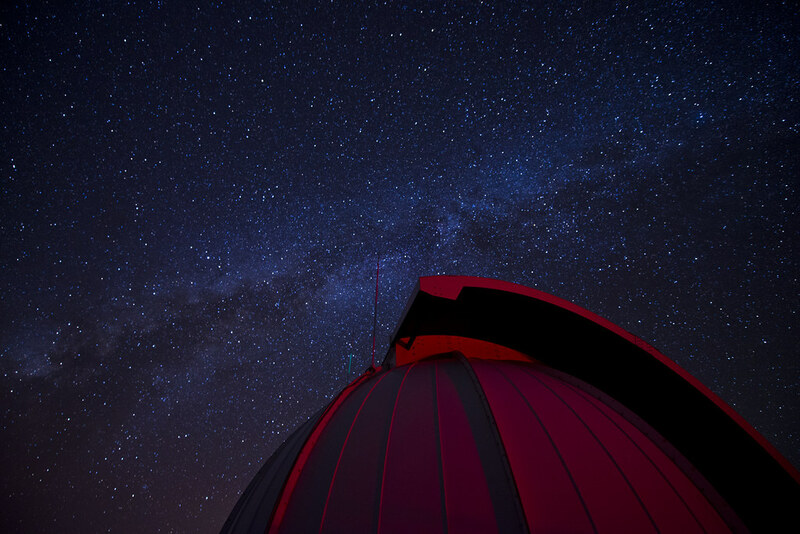 Since there is minimal light pollution from surface sources, astronomers have long held to the claim that Haleakala offers one of the “cleanest” vantage points to view stars, satellites, or anything else in the Earth’s night sky. The cold is one of them. While the average high on Maui is in the mid-80s and the average low is in the 70s, on Haleakala these numbers drop dramatically. The average high is in the 50s and 60s and lows can reach below freezing. “Add to that the fact it is typically windy, and it can get pretty chilly up here,” Rashid said. Then, there’s the drive, which can take upwards of two hours to traverse … each way. The drive is beautiful, however, passing from lush, tropical scenery and turning into a rocky, barren landscape with views of the Pacific Ocean and surrounding islands. 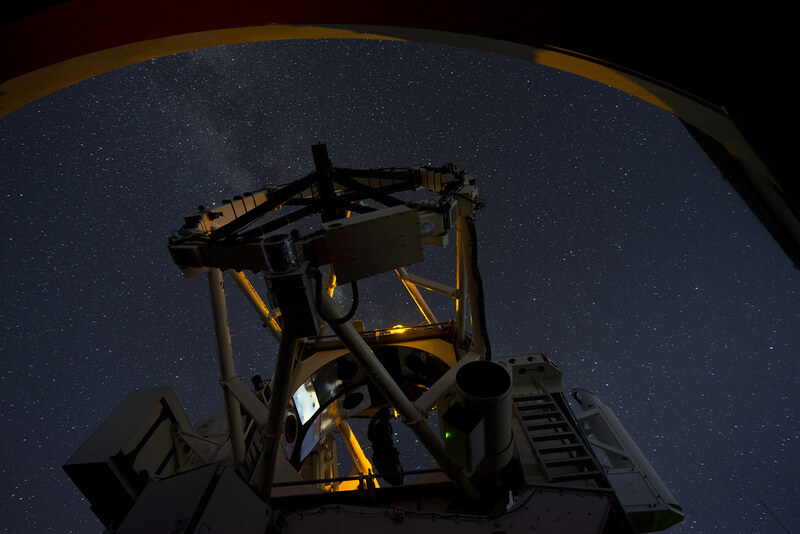 It’s the view of space the Air Force is interested in. Space, after all, is part of the service’s domain and fits into several of its core missions. Satellites are used in intelligence gathering, navigation and communications. 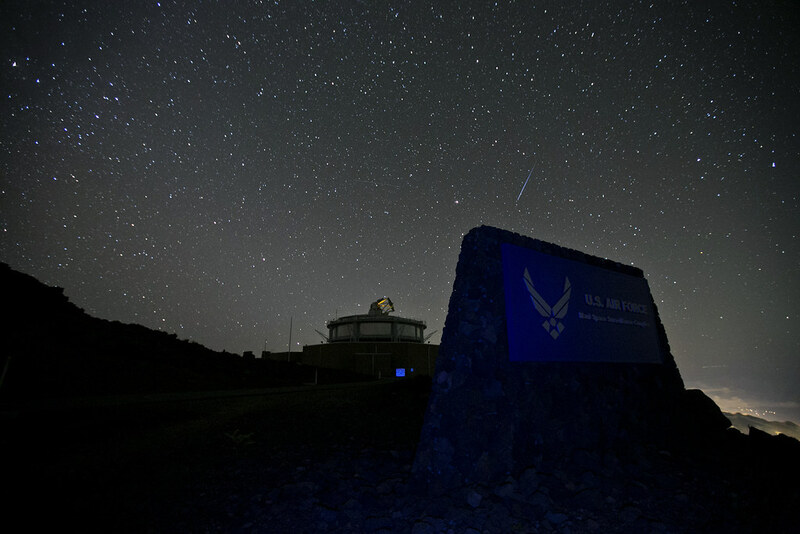 Situational awareness of what’s occurring with those satellites in the space domain above Earth is critical to sustaining those systems and supporting our joint force commanders, the nation and users worldwide. Sitting atop a volcano, Rashid understands this. He knows the cold, wind and long hours are all worth it. 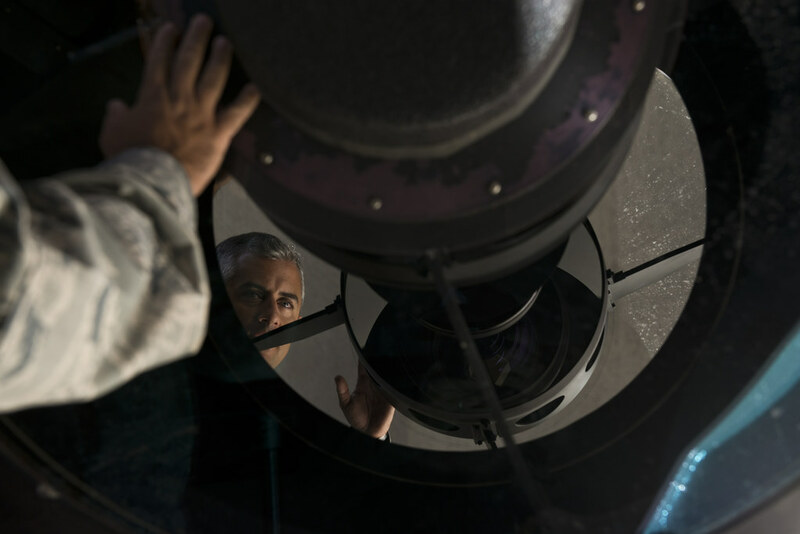 Not because he gets to see some of the most spectacular views of space every time he goes to work, but because, miles above the Earth, he’s helping to ensure space capabilities provide a decisive advantage for the nation’s warfighters. Rashid, and the rest of the folks at the Maui Space Complex make sure those objects are where they should be, doing what they should be doing. “But, yeah, the view is a killer perk,” he said.  Archived in Operational, Research & Technology and tagged airman magazine, GEODSS, maui, satellites, space surveillance, u.s. air force. Bookmark the permalink.